What is a graphmlz file and how do I open a graphmlz file? The file extension GRAPHMLZ is used in compressed GRAPHML files. These files are created with the use of ZIP technology which reduces the original size of the file for easy file transfer, file download and file storage. GRAPHMLZ files are changed back to its standard file format, GRAPHML, with the use of decompression utility programs similar to that of WinZip and 7-Zip. 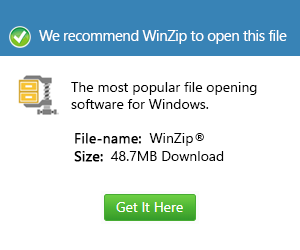 WinZip is a well-known compression application designed to compress and decompress various type of files. 7-zip is free file archiver program that houses mainly files in 7z format but can read and write other archive formats including GRAPHMLZ files. The standard file format GRAPHML files are graphical data created to display proof or describe information through image or visual representations. These files can be accessed and viewed with the use of yEd Graph Editor and other graph programs. yEd Graph Editor was developed by yWorks GmbH for the purpose of providing free diagramming application that can plot and create wide varieties of graphs.